Who you gonna call when ghosts start killing players in Fortnite Season 6? Even in error, Fortnite is getting into the Halloween swing of things with the Shadow Stone exploit. The correct answer to the headline would probably just add to Epic Games' pile of copyright issues. A new item that debuted in the sixth season of Fortnite, the Shadow Stone, is causing an uproar. The item allows players to transform into ghosts, but the original intention was just to enhance stealth and mobility by allowing near-invisible players to move through walls. An exploit allows those players to shoot their weapons, giving an unfair advantage to some players, and Epic Games is disabling the item temporarily to fix this issue. Due to an issue with Shadow Stones, we’re disabling them until we have a fix. RPS reports the exploitation of the new Shadow Stones, which are items that players pick up like one of the previous season's Hop Rocks. Whether on purpose or by mistake, this is a pretty awesome blunder that happens to perfectly match up with the Halloween season. Epic Games has been killing it with the events and seasons, giving their players new experiences around every corner. It just so happens that this particular one was a bit more dangerous than expected. Season 6 is live now, so read up on all of the new Fortnite events and gear still available while Epic works on how to get the Shadow Stones back in working condition. Stay tuned to Shacknews for additional updates. 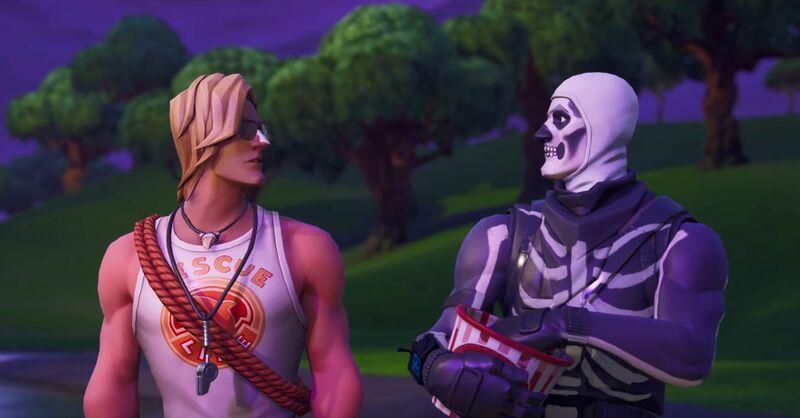 Charles Singletary Jr posted a new article, Who you gonna call when ghosts start killing players in Fortnite Season 6?